With stunning scenery, excellent weather, a magnificent coastline and glamorous resorts, the French Riviera is the ideal holiday destination. This tour includes many gems of the French Riviera. A particular treasure is Nice, a fabulous city rich in glorious architecture and superb restaurants. Boasting an enticing old town and wonderful markets, it’s a pleasure to explore. Unsurprisingly, it has become the unofficial capital of the enchanting Côte d’Azur. 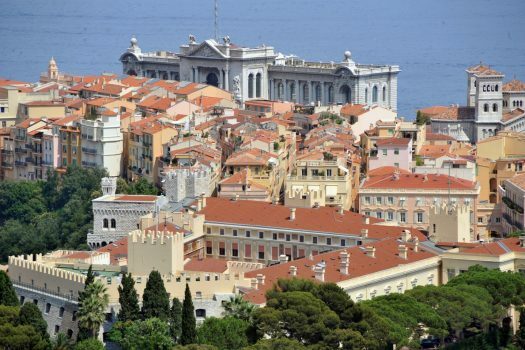 Explore Monaco’s old town, filled with stunning gardens and a remarkable cathedral. While there, perhaps head to the palace and experience tradition by watching the changing of the palace guards. Alternatively, if you’re interested in car racing, why not visit the amazing Grand Prix Circuit? During your stay, you can also visit the wonderful towns of Cannes and the walled village of St. Paul de Vence. This entire coast is a wonderful mix of sunshine and culture. Visit breathtaking villas and admire the gardens along the coast. There is also an abundance of art galleries and charming old buildings. With the region’s famous year-round blue skies and balmy climate, it is a great destination to visit at any point of the year! We take the ferry to Calais then travel south through France. After stopping overnight, we enjoy unfolding scenery en route to our hotel in Menton. This morning we travel to Nice, the ‘capital’ of the French Riviera with great shopping, splendid dining and lovely art-deco facades. 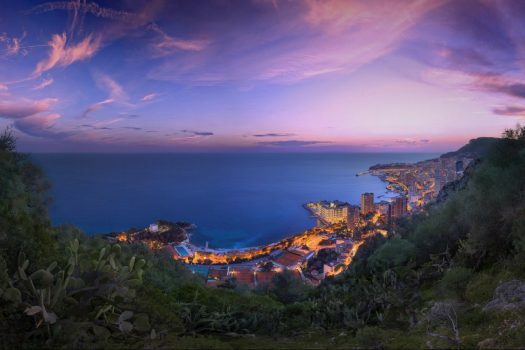 Stroll along the famous ‘Promenade des Anglais’ or visit the atmospheric old town and its flower market. We then visit the Villa Ephrussi de Rothschild, a palace located in the nearby Cap Ferrat, whose nine gardens overlook the sea. Enjoy a free day to explore Menton. With its sunny climate, shady streets, pastel mansions, and a delightful old port, Menton is regarded by many as being one of the most attractive towns on the entire coast. Garden lovers might want to take a short trip along the coast (and just across the border into Italy) to visit the Hanbury Botanical Gardens. Today we visit the hill-top medieval walled village of St. Paul de Vence, filled with art galleries and boutiques. We then continue to the beautiful village of Grasse, world capital of the perfume industry. During a visit to a perfume factory we learn some of the secrets of production. 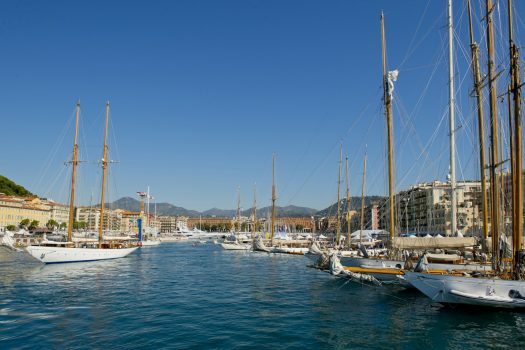 Spend an afternoon at leisure in Cannes, the chic home of the eponymous film festival. Enjoy the glittering resort with golden beaches, a marina full of luxurious yachts and the famous palm tree-lined ‘La Croisette’ promenade. 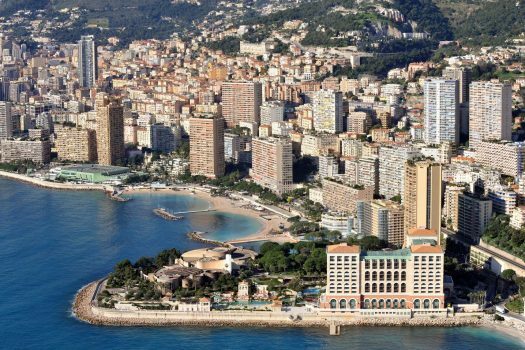 The tiny Principality of Monaco is made up of four quarters, most famously Monte Carlo, home to the casino. Monaco’s fortified old town however feels a world away from the skyscrapers and is instead has a charming feel with a palace, cathedral and stunning gardens. Explore this glamorous town today, perhaps watching the changing of the Palace Guards or visiting the amazing Grand Prix Circuit. Enjoy some free time at the Casino Square or ‘Golden Square’ with prestigious shops, amazing restaurants and luxury cars. It’s time to leave the French Riviera. We make an overnight stop in France as we retrace our steps back to the UK via Calais. The Hotel Méditerranée, Menton is a 3-minute walk from the beachfront, 5 minutes walk from the Casino Barrière de Menton and 10 minutes from Menton train station. The bright rooms come with flat-screen TVs and free WiFi, as well as minibars, and tea and coffeemaking facilities. The restaurant serves Mediterranean and Provençal dishes and there is also a terrace bar with a piano and televised sports. The Hotel Prince de Galles, Menton is located 7 minutes walk from the beach. Situated in the seaside town of Menton, the former summer residence of Prince Antonio I of Monaco is 2.8 miles from Monaco and the Italian border. The bright rooms include free Wi-Fi, TVs and mountain views. There is a Mediterranean restaurant, plus a bar with a sea-view terrace. Additional amenities include a landscaped garden, a sun terrace and a business centre. Coach – Depart from your local area and travel to the French Riviera by coach. We can arrange short-sea Dover-Calais / Dunkirk ferry crossings or Eurotunnel crossings from Folkestone-Calais. We can arrange overnight stops to break your journey between the ports and the French Riviera at a selection of hotels to suit your budget and travel plans along the way. Train – Take the Eurostar from London, Ashford or Ebbsfleet, changing at Paris Gare Du Nord Station before getting the train to either Nice, Antibes, Cannes or St. Raphael train stations, depending on where you choose to stay. 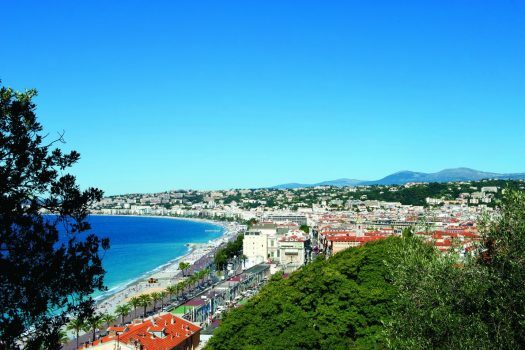 Air – Fly direct to Nice Côte d’Azur Airport from a number of regional UK Airports with low-cost and scheduled carriers. We can arrange transfers to / from your local airport as well as from Nice Côte d’Azur Airport to your hotel.